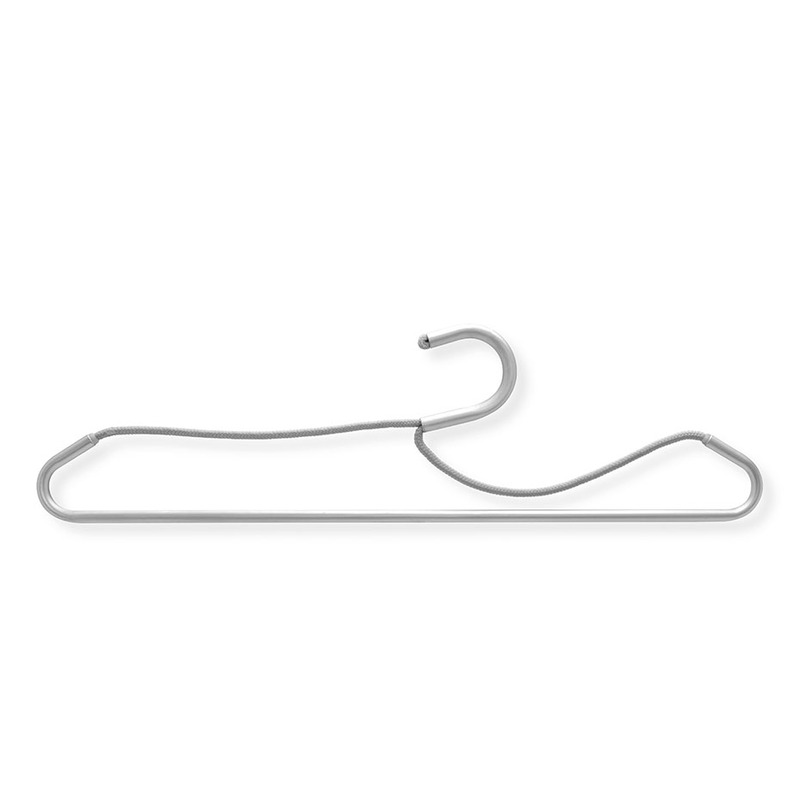 A rope runs through a bent metal tube and ends within a hook. 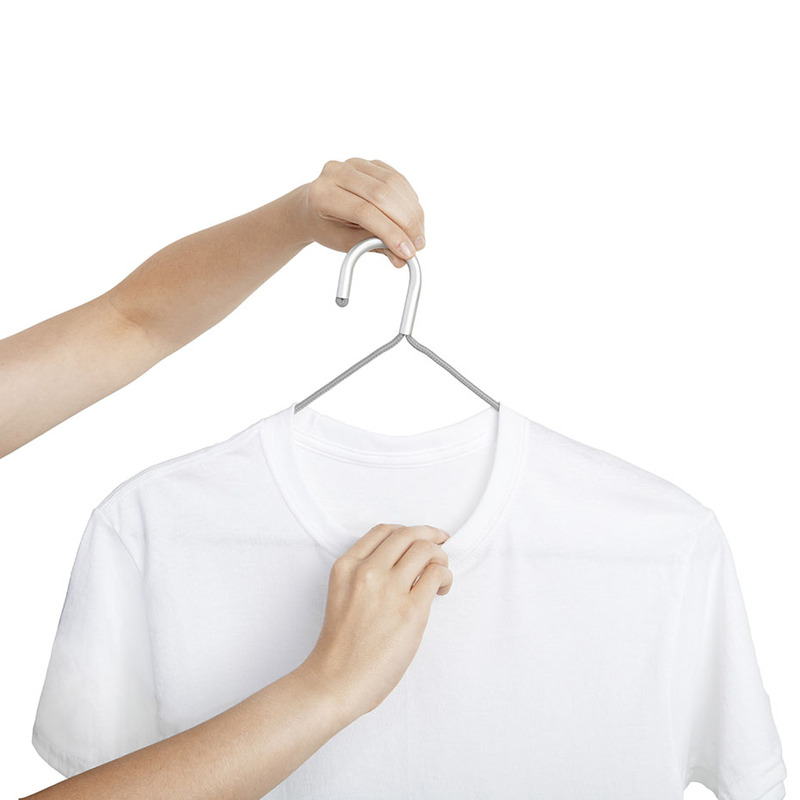 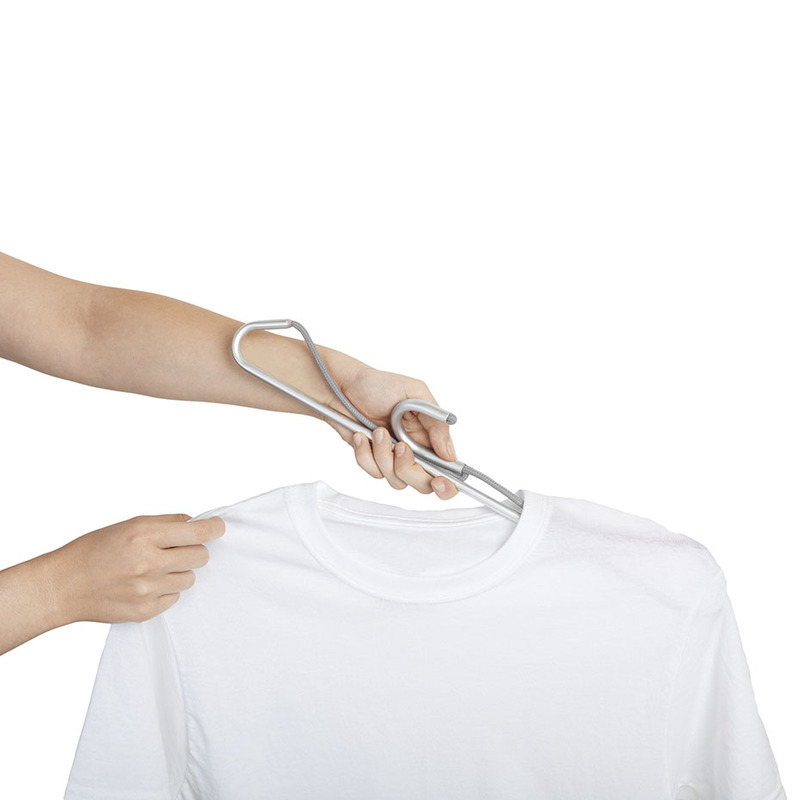 Once hanging the hanger regains its triangular shape and supports the piece of clothing perfectly. 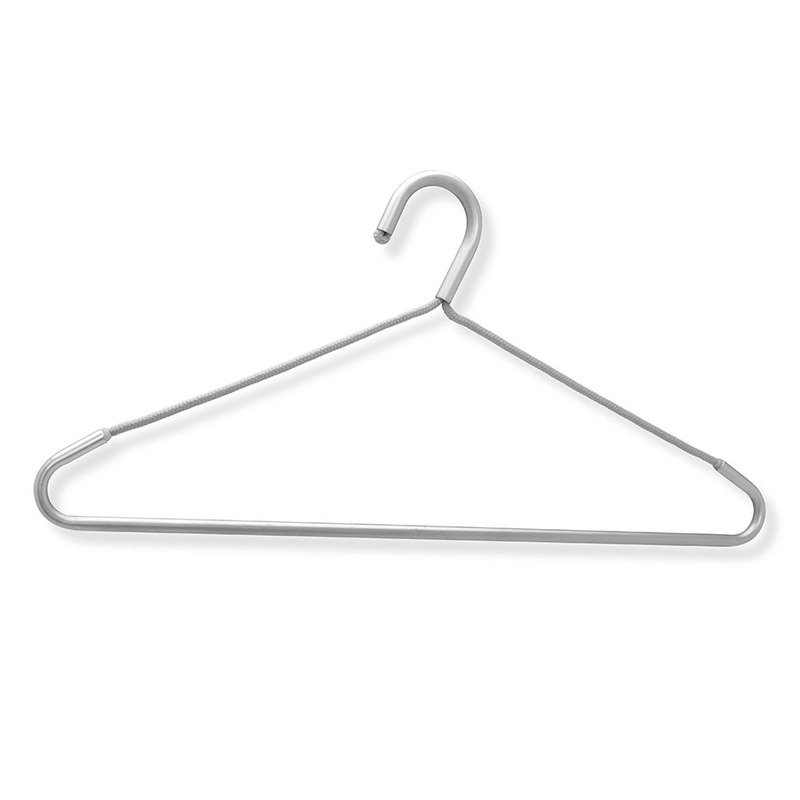 The rope allows the hanger to fit even into narrow collars and reduces its size for traveling purposes.